Today, the mobile device market is mainly a standardized mass and commodity market. As a consequence, hardware manufacturers can only economically adapt their production processes for larger device order quantities and hence can only offer an Android-OS customization to large operators’ customers. In addition, device customizations are generally done in a manual or semi-manual process which is inefficient, costly and results in a long time to market. Therefore, smaller operators, MVNOs as well as corporate customers generally cannot get customized devices in flexible quantities respecting their needs (e.g. branding, different configurations, pre-installed [corporate] apps). Another challenge in the Android eco-system is that no central body can take the responsibility for providing software updates, or guarantee security of the system, due to the open-source Android software platform. Zertisa has developed a standardized and innovative roll-out & update solution for the Android mobile market. With zOTA´s Manage solution, Zertisa is shifting a potential roll-out of a custom ROM from the time of production of the devices (e.g. smartphones, tablets) to the time of delivery/device activation as well as is automating a formerly manual or half-manual process. Zertisa´s solution is fully scalable (e.g. languages, user groups, regions) and special limited editions can be offered in flexible quantities. This especially addresses the customization needs of smaller operators and corporates. 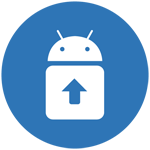 zOTA Manage is also Zertisa´s answer to the updating challenge in the Android OS market. Zertisa has taken the lead and provides its customers with a fully managed and hosted update as-a-service offering including back-end infrastructure, easy-to-use web portal and consulting support. As Zertisa uses a different technological approach to classical updating mechanisms, it also avoids the problem of user data loss due to partition overwriting during the updating process.